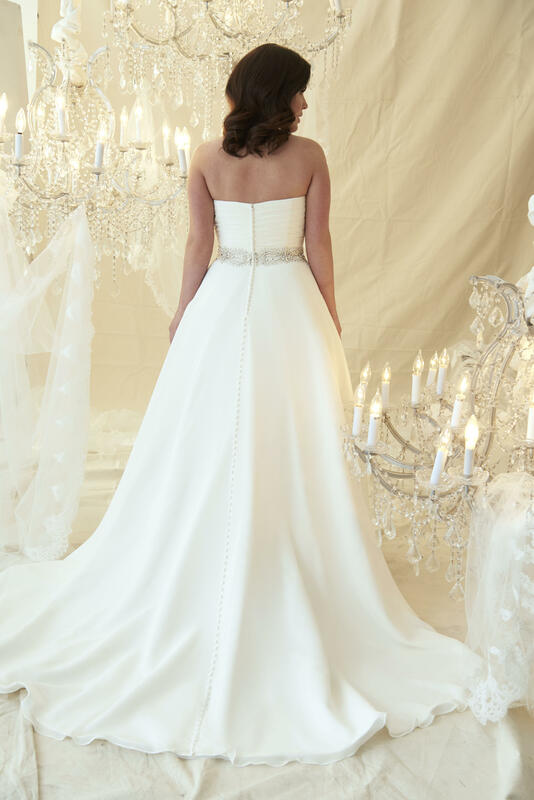 Beautiful Chiffon Gown with Jewelled belt detail. 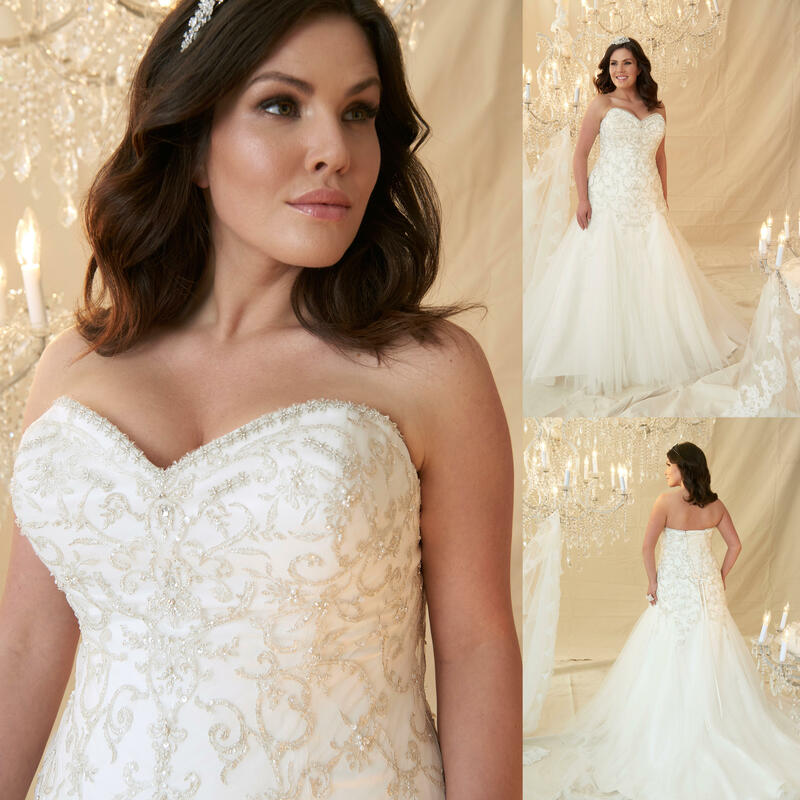 Flattering for Bustier Brides as this gown is fully corsetted and boned. 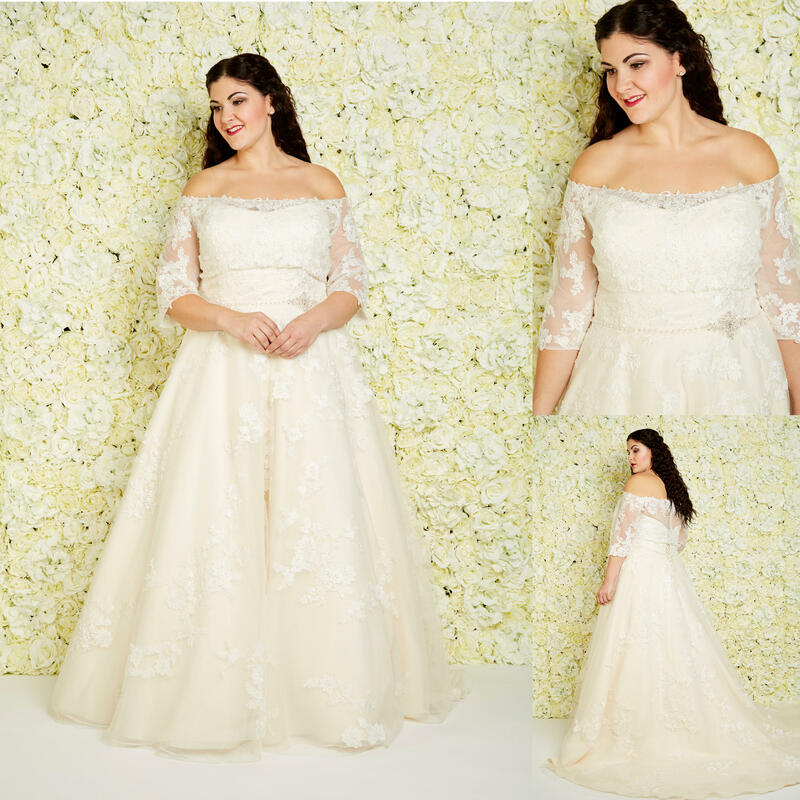 The chiffon will skim over your hips to give you a smoth silhouette and the sweet heart neckline will show off your cleavage in a subtle and supportive way! 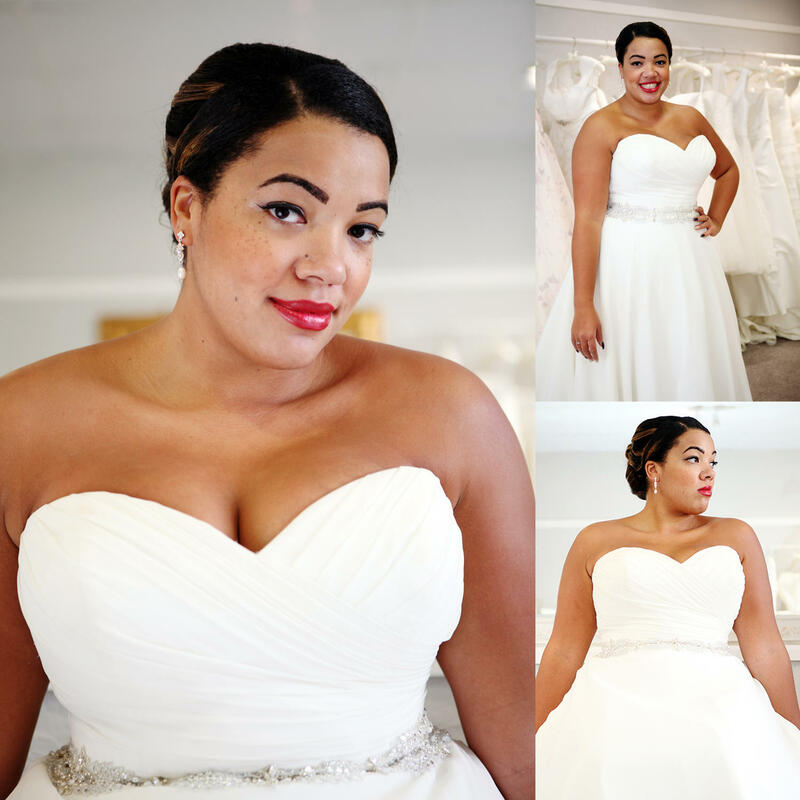 This dress is perfect for Curvy Plus Sized Brides size 18 and above.